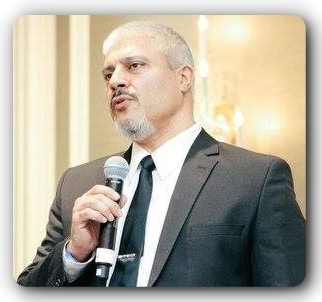 Medical Rewind is now the Advanced Medicine with Dr. Rashid A. Buttar!! Dentists keep dying of this deadly lung disease. The CDC can’t figure out why – Seven of the patients were dead, and two more were dying of a rare chronic, progressive lung disease that can be treated but not cured. It’s estimated that about 200,000 people in the United States have Idiopathic Pulmonary Fibrosis (IPF) at any one time. But the common denominator of a small group of patients at a Virginia clinic over a 15-year period is worrying the Centers for Disease Control: Eight were dentists; a ninth was a dental technician. The dental professionals were 23 times more likely to have IPF than the rest of the population, the CDC said in its Morbidity and Mortality Weekly Report, released on Friday. Something in their workplace environment may have been poisoning them, investigators said, although they don’t know what. Environmental exposures more determinant of respiratory health than inherited genetics – Researchers have found strong evidence that environmental exposures, including air pollution, affect gene expressions associated with respiratory diseases much more than genetic ancestry. The study, published today in Nature Communications, analyzed more than 1.6 million data points from biological specimens, health questionnaires and environmental data sets, making this study one of the largest ever to examine the relationship between gene expression and environmental stimuli. These findings represent a groundbreaking use of big data to uncover the environmental factors that are behind diseases and inform strategies for prevention, an approach that would apply to a number of diseases, including cancer. Map of Consciousness by David Hawkins – Over 250,000 muscle testing calibrations spanning 30 years of multiple research studies conducted by The Institute for Spiritual Research, Inc., Dr. Hawkins defined a range of values that correspond to levels of consciousness which include well-recognized attitudes and emotions. With a logarithmic scale of 1 to 1,000 and the Map of Consciousness® format that he developed, Dr. Hawkins explains the classification and characteristics of these energy fields to make them easily comprehensible and useful in daily life. It is important to realize that the calibration figures do not represent an arithmetic but a logarithmic progression. Thus, the level 300 is not twice the amplitude of 150; it is 300 to the tenth power. An increase of even a few points therefore represents a major advance in power. New Research Shows Cell Phone Radiation Linked to DNA Damage Brain and Heart Tumours – A recent U.S government-funded study conducted by the NTP (National Toxicology Programme) a division of the NIEHS (National Institute of Environmental Health Sciences) provides even more ammunition for the case that cell phone EMF (electromagnetic field) radiation is linked to cancer by causing brain tumors. However, contrary to popular belief, the new findings indicated that the harm was not brain cancer, per se, nor was this the primary cause. The study, one of the most extensive yet, found that above all, cell phone EMF radiation was linked to DNA damage and heart tumors. than four hours of TV over a day could increase the risk of bowel cancer in men compared to those watching less than just an hour of TV, according to a paper published in the British Journal of Cancer. In one of the largest studies to date investigating the link between sedentary behavior and bowel cancer risk, researchers analyzed data from more than half a million men and women and found that men who spent less time in front of the TV were also less likely to develop bowel cancer later in life. After six years of follow-up 2,391 people from the UK Biobank study went on to develop bowel cancer. When researchers from the International Agency for Research on Cancer (IARC) , Imperial College London and the University of Oxford analysed the data they made the link between sedentary behavior and bowel cancer.